Very Very Vicky: Something For My Favorite Peeps! 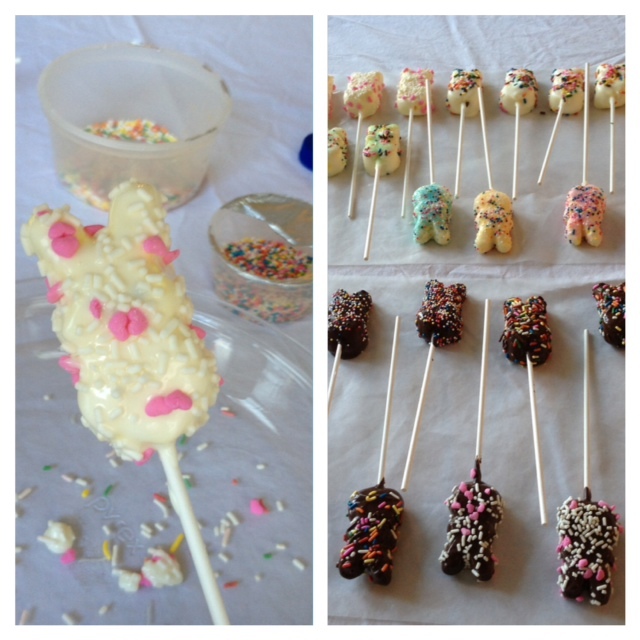 Hop on over for a fun, quick Easter treat! 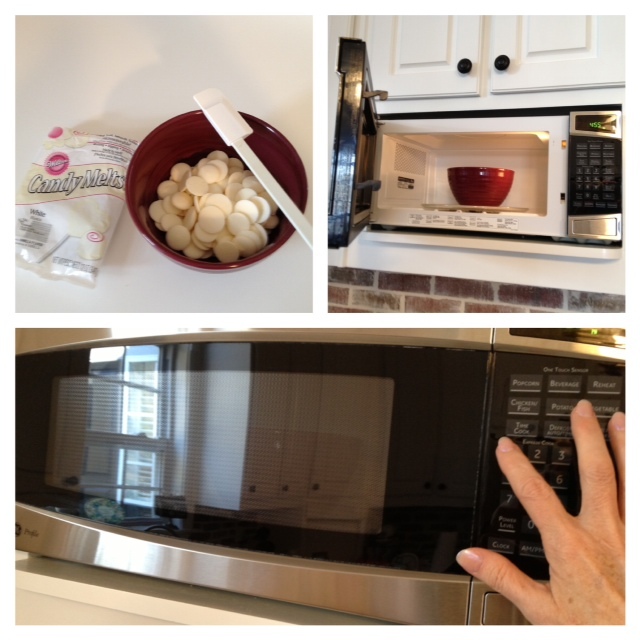 I thought it was time to "practice what I pin"--on Pinterest, that is. I'm short on time but I wanted to have something fun for the kiddos this weekend so I went searching through my Easter Pinterest board for something E-A-S-Y. 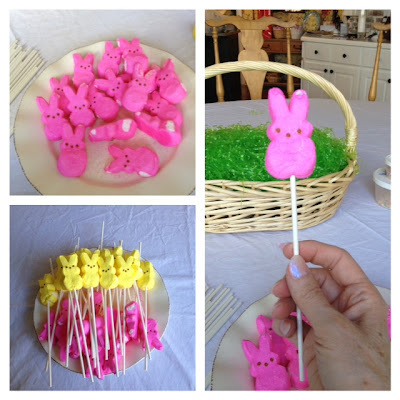 This was perfect: Peeps Pops! I wanted to display them in an Easter basket so I am using one I already had and I bought a piece of styrofoam and some Easter grass. I also bought some plastic bags to wrap each one individually (bottom right) but I decided to save them for another project. Cut the styrofoam to fit snugly in the bottom of the basket. I cut the corners of the rectangle and pressed it down to the bottom of the basket--it should be tight. 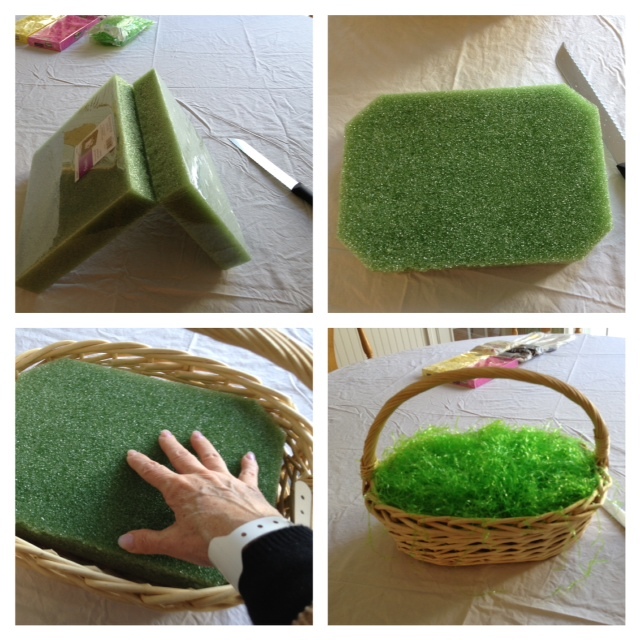 Then I covered the inside of the basket with grass and set it aside for later. Separate the marshmellow bunny Peeps and then spear each one with a lollipop stick from the bottom to the top. I pushed the stick in as far as it could go without coming through at the top. Melt the candy coating following the directions on the packaging. I used the microwave option. 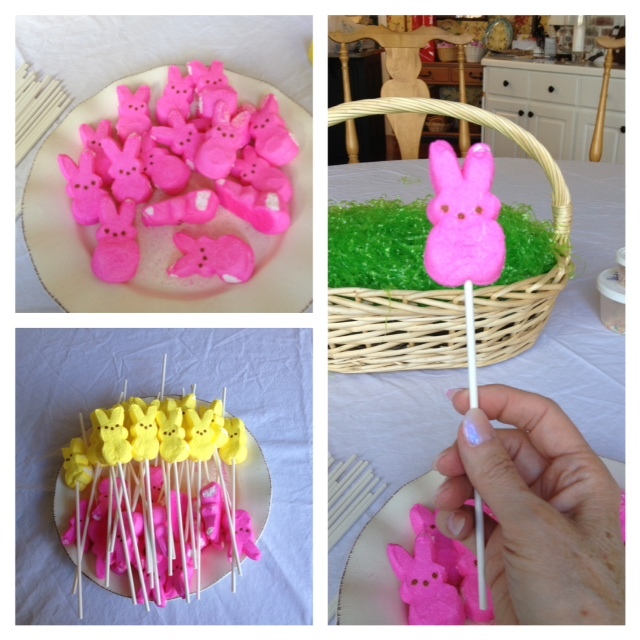 Dip each bunny peep into the melted candy coating and swirl it to completely cover. I then tapped the stick gently on the edge of the bowl so the excess coating would drip off. place it on wax paper to dry. Once the bunnies were dry I arranged them in the Easter basket by sticking them in the styrofoam. Nice and easy! All I am saying is give Peeps a chance (tee hee)! See you next week with more of the beach cottage for a buck renovation project! Happy Easter everyone! He is risen! That is so cute! I will keep that in mind for next year.